I have a favorite memory I love to share often, hoping that in sharing I can also relive some of my happy memories. There was a time I was living with a roommate. One of those type of roommates I haven’t stayed in touch with after I moved out. But we were both open to spontaneity, and that is a good quality. There was a time we were both commiserating over broken relationships for both of us. In a matter of a few hours we decided to drive overnight from Minnesota to Tulsa to catch the graduation of a former boyfriend of mine. That is spontaneous and we did it. We continued to commiserate over our broken relationships on that drive, eat that crazy good food you do at 3 am, arrived, found my former boyfriend and certainly surprised him, found out he was engaged and she was there, he ditched her for several hours to hang with us, slept finally, missed his graduation, and drove home. What a good memory! It didn’t particularly bond my roommate and me together for a forever friendship. The former boyfriend we went through all this “trouble” for was one I never cried over. We didn’t have a convertible to drive in. But the spontaneity of this trip, added to a time of pain I was in, has made this a story that fills me with giggles and joy. 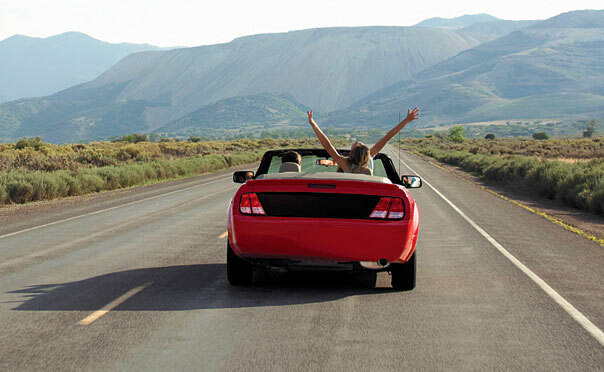 Spontaneity is a word filled with fun and adventure and memories-made. Do you have memories of your own spontaneous moments? 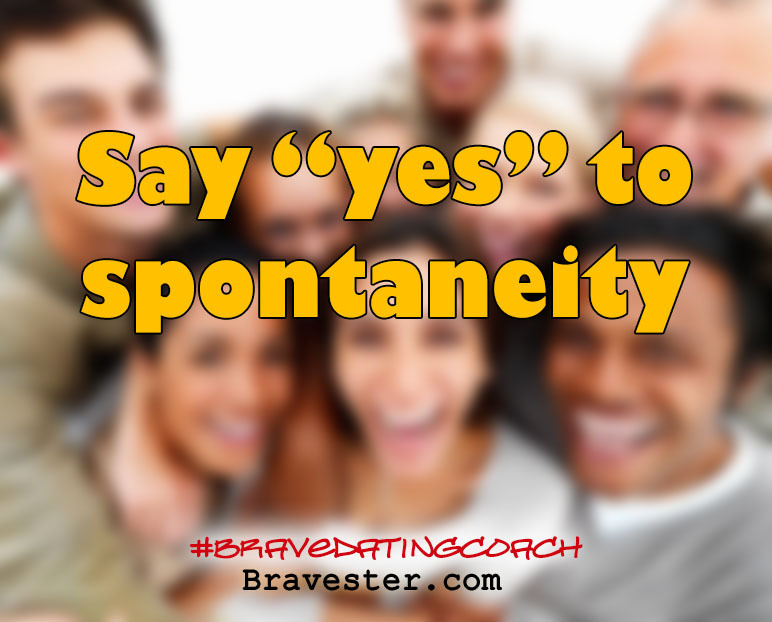 Say “yes” to the spontaneous. Especially now when you are single. It’s just a fact. Spontaneity is rare for marriage. I hope I’m not busting a marriage myth here for you. I hope you haven’t been daydreaming of when you can spontaneously drive overnight with your romantic spouse for a 2-day get away. The opportunities to do such a thing become so rare when you get married. You have two people’s calendars that matter when it comes to building your home. Both of you have more responsibilities. You can’t be selfless. You can’t be impulsive. But you can be spontaneous now when your life is your own. When your list of responsibilities is only your responsibility. So say “yes” to the spontaneous now. One of your greatest blessings you have when you are single is your spontaneity. Say “yes” to a random phone conversation. Say “yes” to coffee. Say “yes” to help with the move. Say “yes” to stepping in when someone is sick. Say “yes” to a late-night movie. Say “yes” to the special event downtown. Say “yes” to that silly parade. Say “yes” to that curious new ministry opportunity. Maybe be a leader for others to have spontaneous moments. You “plan” these opportunities for others to join you. Give them the opportunities to also have such memories. Someone does have to plan the spontaneous. At no other time in your life will you be as free as you are now to do this. You will feel brave. You will make great memories. You will have great stories to share. You will see delight and maybe some envy in people’s eyes when they hear your stories because they will wish they had said “yes” to the spontaneous when they could have. Say “yes” to brave and time-consuming things for God. You have time to share also. Time you won’t have when you get married. A little side story (that changed my life): I was single when I said “yes” to these kids of mine knowing then I had no idea what I was walking into or what I was doing. (I still wonder if I know what I’m doing now nearly 25 years later!) The people on my team were my support as I followed my kids’ lead as they continued to open up and attach themselves to me and the beginnings of that new life in Christ. In hindsight these were amazing days of trust in God’s big plan and amazing memories watching love change the inner-being of my kids. When I married John I made it very clear that he was marrying a package deal, the kids and I came together. He said “yes.” Our wedding reflected this. Twenty years later we have grown kids we both love as our own (and the best grandkids ever). Be brave, but not reckless. The idea is not to spread yourself dangerously thin just because you can. Or because you fear having time alone in your apartment. Make decisions prayerfully and in community with people who love you and can tell you “no.” Then say “yes” to everything you can. So when you get that late-night text to meet a group of people (that may include some strangers to you) for pancakes at midnight, say “yes.” Even if you already have your jammies on. What memory might you make? What story will you tell 10 years later? P.S. My single brother is about to start a spontaneous adventure of a lifetime. It’s The Global Scavenger Hunt which is a bit like “Amazing Race” on TV except less race-like, not as physically intense, and more culturally immersive. They will not know any of the 10 countries that they will be visiting until four hours before departure. He is partnering with a friend of friends, someone he didn’t meet until she asked him to be her partner just a little over a month ago. They still haven’t actually met in person. This is spontaneous! This is storytelling for years!! Read that amazing story here of how this came together. We will have regular posts from them here on Bravester. Mark and Jenny have also set up a fundraising plan to address some of the needs that they anticipate seeing and being involved in along the way. Follow this spontaneous adventure to be inspired for your spontaneous adventureS.